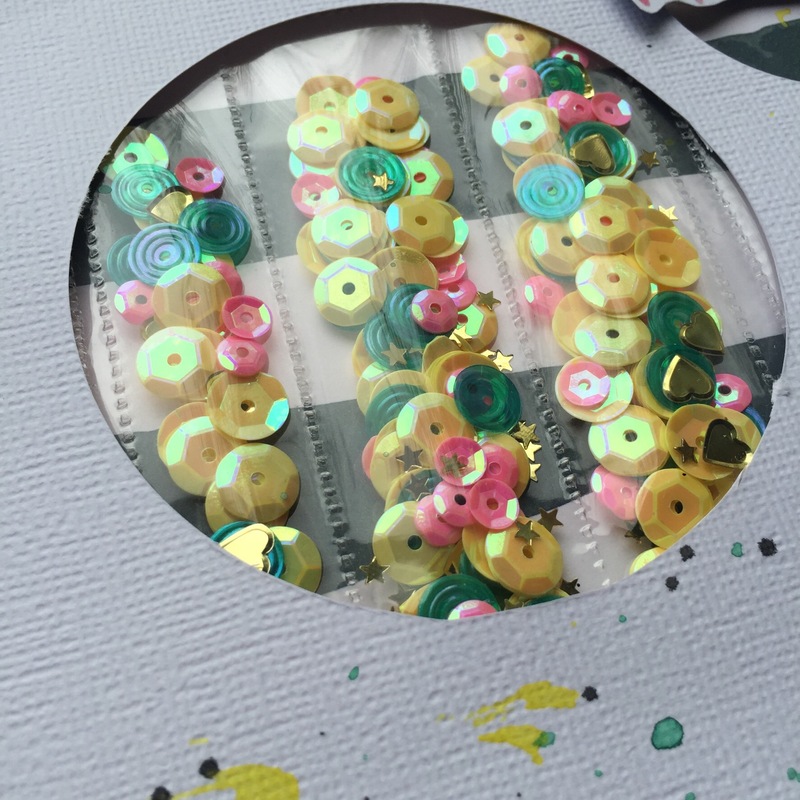 NSD Scrapbook Jam Blog Hop! Ok friends, here’s my NSD 2016 challenge layout! I’m using the fabulous Claudia van R Designs paper collections, Amy & the all new Hot Right Now! I’ve created a shaker pocket on this layout using my old school Creative Memories circle cutters in a couple sizes. I’ve had them for years and find myself reaching for them more often these days. You don’t need a fancy die cut machine to create these circles. You can use a number of different things as homemade templates such as a soup can, coffee mug etc! Just put a self healing cutting mat underneath your paper or card stock & grab an exacto knife. You can see there is some dimension behind those circles. I created that ‘lift’ using some inexpensive craft foam, which you can find on Amazon here. I simply adhered it to the back of my white card stock and in between the circles. The words ‘brilliant’ and ‘fierce’ where fussy cut from a Bella Blvd paper. To create the actual sequin shaker pocket, I used a WRMK pocket page protector. I trimmed a section of the page protector down so it was slightly larger than the circle I wanted to place it behind. Next, I used my WRMK Fuse Tool to create three sections for my Amy’s Sprinkles sequins to go into. I created the sections so that all the sequins didn’t fall to the bottom of the pocket. Plus, I love the vertical lines against the circles in the layout! I then used a strong adhesive, such as Ranger Glossy Accents, to adhere the sequin shaker to the backside of the white card stock. Tip: be sure your Fuse Tool is nice & HOT! I preheat mine for about 5 minutes before using it. Finally, my finishing touches were adding my ink splatters with my Shimmerz Coloringz and more of the Amy’s Sprinkles sequins, which were create especially to coordinate with Claudia’s Amy paper collection. I have a second new sequin blend to coordinate with her Hot Right Now collection too! I hope you’ll take my challenge this month and create a shaker pocket on your next layout! If you participate in any of the challenges this month, be sure to add your photos to the Scrapbook Jam Facebook Event, which you can find right HERE! Next, you’re off to check out Tiffani’s blog and her fabulous project! Remember to leave a comment on each blog by March 13th to be entered to win the amazing Star Shine collection from Shimelle and American Crafts! Oh my goodness I love the way you Incorporated the shaker pocket!!!! So cute! Love the cute shaker pocket!I have those CM circle cutters too and use them all the time. 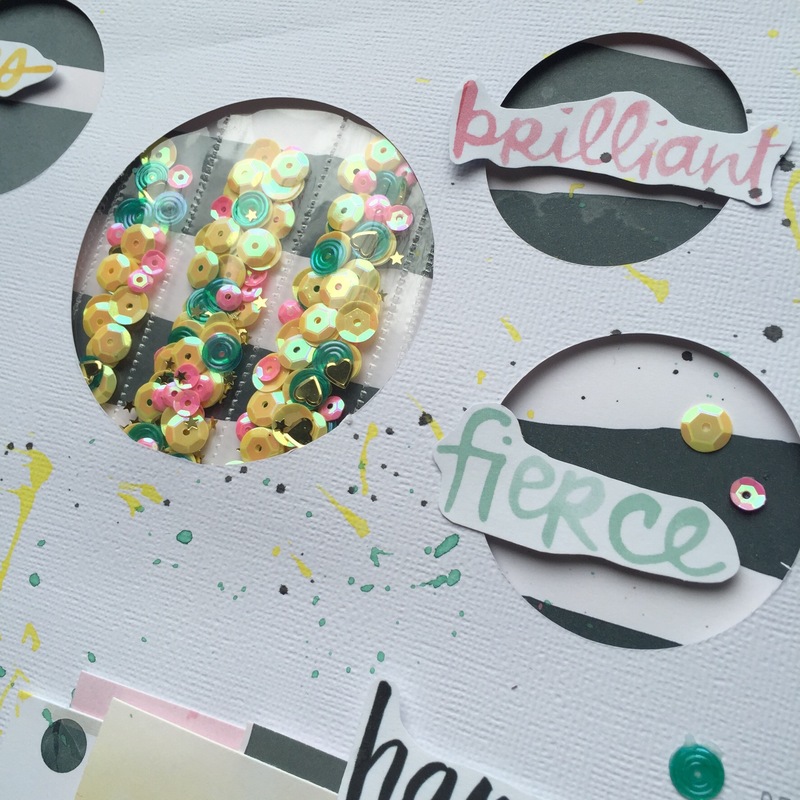 Pingback: NSD Scrapbook Jam Blog Hop! – Lisa's -Home for Books and More! I love the circles and the shaker pocket. I’ve never made a shaker pocket before. Love the layout – and those circle pockets are too cute! I didn’t think I need that WRMK tool but now I think I most definitely do need it!! I have never done a shaker before but I want to! I’m nervous but this challenge is what I needed. Thank you! Wow, Jody, this is fab!! 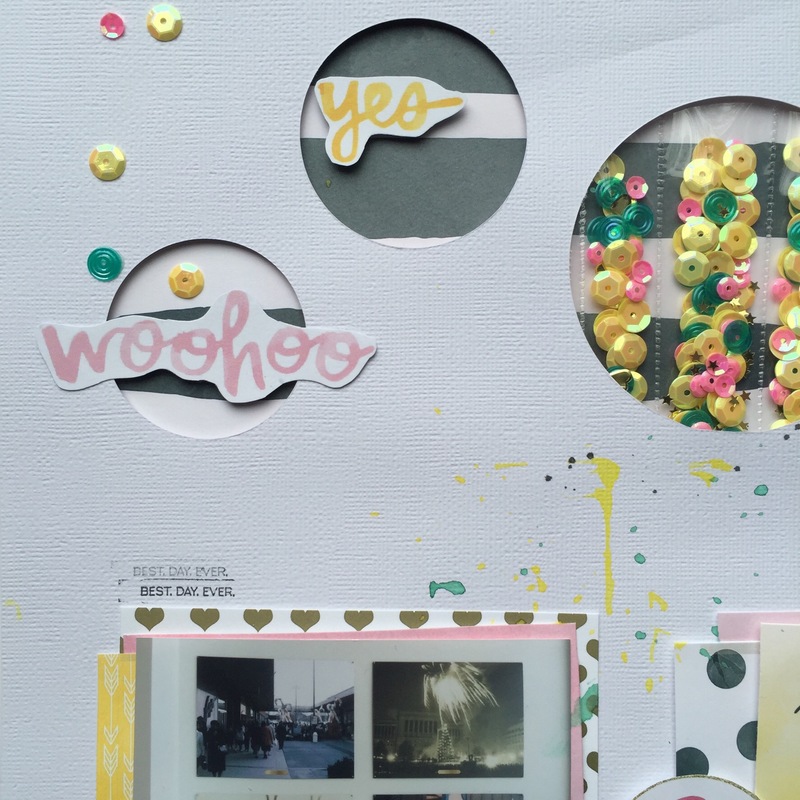 I love everything about your layout….oh, and those sequins are so pretty! !